Here’s the perfect gift for that new mom or mom-to-be! 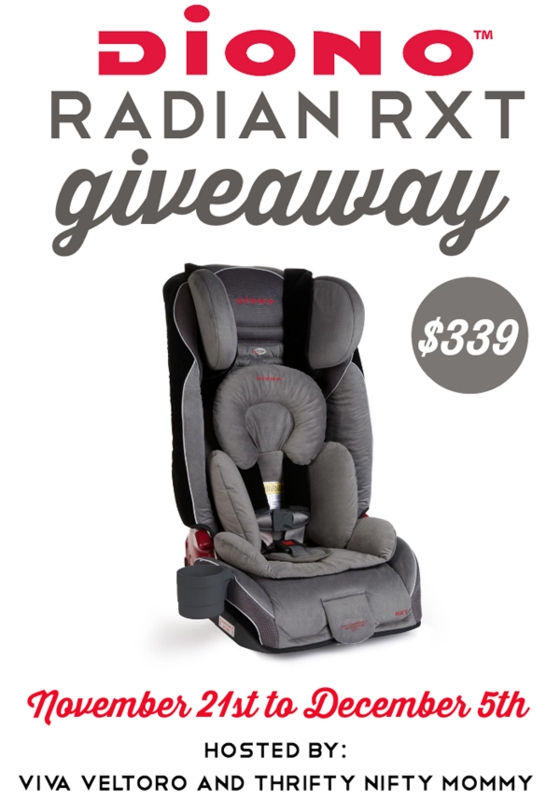 We are giving away a Diono Radian RXT Convertible + Booster Seat valued at $339! Gift them one of the safest car seats on the market and the only seat they will ever need. Enter to win the booster seat below and be sure to check out other gift ideas in our holiday gift guide. Open to the US, ages 18 and up. Ends 12/5/14 at 11:59 PM EST. I like the Cambria High Back Booster. I like the Cambria High Back Booster as well. The Cambria High Back Booster looks pretty nice.